Plenty of speakers can make it through their prepared remarks or presentations. But the question-and-answer session that follows can trip up even an expert speaker. Handling Q&A with grace and ease--rather than getting rattled by questions or that answer you can't put your finger on--is a sought-after skill, from the boardroom to the lecture hall. That's why handling Q-and-A is a big part of The Eloquent Woman's upcoming "Good On Your Feet" public speaking and presenting workshop, March 2 and 3 in Washington, DC. We'll work on all the skills that lead up to a great question session, from working without notes and using a planned message to dynamic movement, how to relate to your questioners, and how to think--and talk--on your feet, even when the question is one for which you're not prepared. Lots of speakers overprepare, and blame it on the questions they might get. Do you overprepare for speeches? walks you through some alternatives that will get you ready without making you anxious. Like new media tools when you present? Engage your audience with new media tools recommends you save room for the questions--and put them up front. If anything, social media has helped audiences get more, not less, eager to participate when you speak. Getting no questions? The audience may have checked out, so check what to do when you're losing the audience to change your tactics midstream. One part of questions is hearing them. How to listen to audience questions offers you an example from no less a speaker than President Obama--and his tactic allows time to think while engaging the questioner. If your questioners can't get a word in edgewise, read Speakers: 7 reasons I want you to speak less. Do you think you have too much content and too little time? When you've got lots to say, save it for the Q-and-A. You'll look smart and so will your audience. 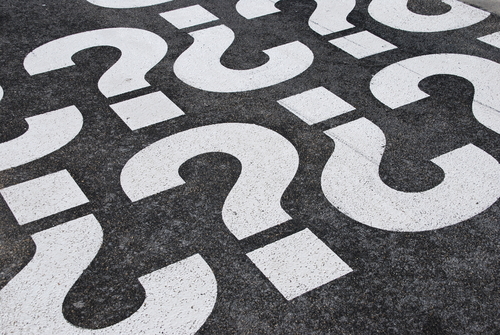 Are questions derailing your presentation--or getting it off track? Graceful ways with Q-and-A help you answer, then steer back to your topic. 4 ways to handle the heckler will help with a questioner who wants to take over. "Good On Your Feet" isn't a typical public speaking workshop. The skills in this workshop will help you in a variety of situations: public speaking, presentations, media interviews, even important conversations. It's guaranteed to be a small-group session, and one in which you'll have plenty of time for your own questions, practice and lots of coaching.